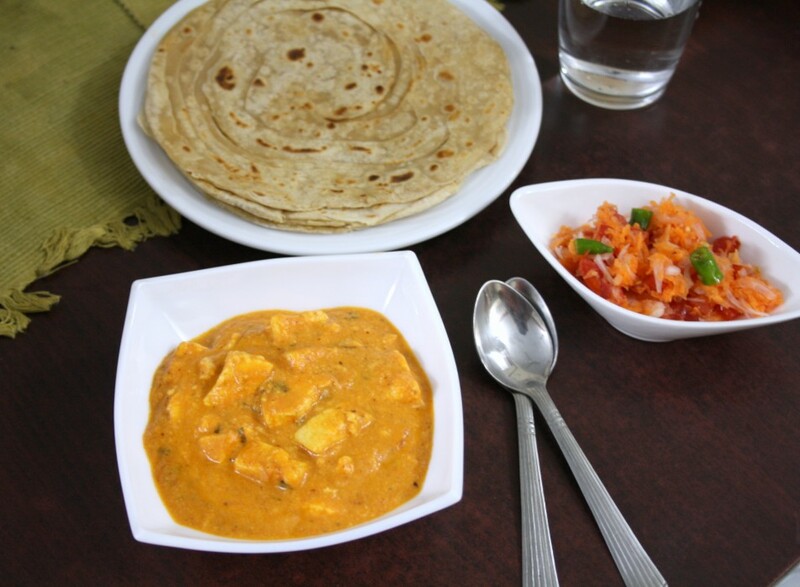 When we end up making Paneer Butter Masala every other week, it is still something kids look forward. We decided that we should make it differently for a change. This recipe that Amma did was really too good and we have another version that I end up making alternatively. As always we made sure we didn't make it so rich for a regular consumption. Still the gravy is very rich. You can make it more creamy by adding cream or malai. Boys have their school today and we are left with a day for ourselves. That gives me a chance to try out quite some new dishes. Hopefully I should make full use of my time. However though I have so many recipes planned, just when I want to make I confused as to what to make. I was finally able to update my Index, it was really a labour of love. I was amazed myself with the variety of kid friendly recipes that I managed to make. All of them eggless, that I have almost forgotten how to use the eggs in my baking. I remember during my college days when I used to bake every week and mostly with eggs. All those wonderful cakes used to be shared with guests or my friends. Everybody used to enjoy the treat and my friends used to look forward to them. At times I wished I had clicked pictures of those cakes. I know I might not try those again, maybe I could make them eggless now and try. Do you have recipes that you made many years ago, that you wish you made them again? While you ponder on that question and respond, here's the recipe for a delicious Paneer Makhani. Heat a kadai, heat 1 tsp butter and oil. When it is hot, add ginger garlic paste, saute for a min. 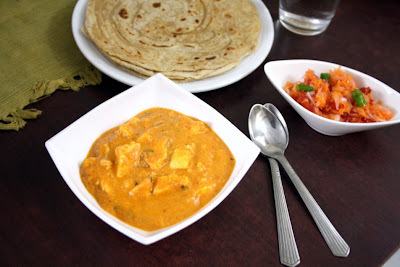 Then add the tomato puree, add kasturi meti Combine everything together and simmer till oil comes out. Add red chili powder, paneer cubes, milk to the pan. Mix well and add salt. Soak cashew nuts and make a paste. When the milk comes to boil, add the cashew paste, simmer for couple of mins. Now finally add the garam masala. If you are adding cream, you can add it in the end. Else finally add the remaining butter and switch off. 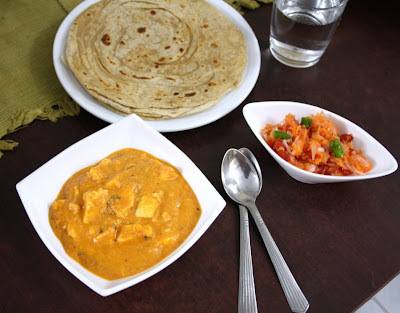 Paneer Recipes on Spice your Life!